After loads of rumours, Honor Magic 2 is officially unveiled at an event in China and becomes the second slider flagship phone after Xiaomi Mi Mix 3. It is a flagship device powered by the latest high-end processor from Huawei, features a total of six camera sensors (three each at front and rear) and includes the 40W supercharge support. 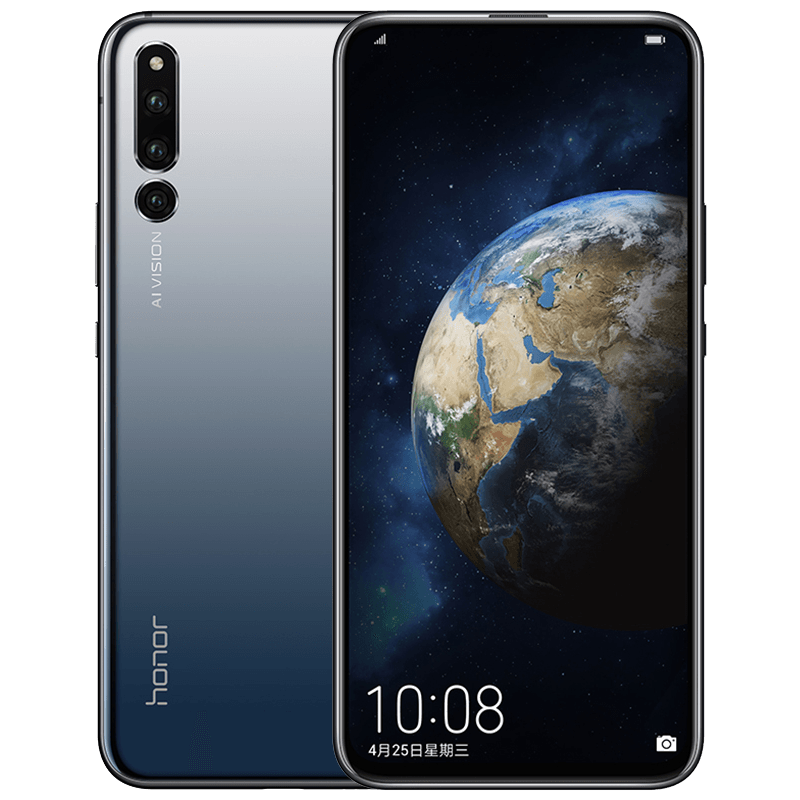 Honor Magic 2 sports a 6.39-inch FHD+ screen with a slider design and is powered by Huawei Kirin 980 7nm SoC along with 6GB / 8GB of RAM. It runs on Android 9.0 (Pie) based operating system with EMUI 9.0 on top. In terms of camera, it features a triple camera module at rear comprising of 16MP primary sensor + 24MP monochrome secondary sensor and a 16MP ultra wide angle lens. On the front, there is a 16MP selfie snapper along with 2MP+ 2MP sensors for 3D face unlock. It also features an in-display fingerprint sensor. When it comes to battery backup, it is backed by 3500mAh battery with 40W SuperCharge support that can charge the phone from 0 to 50% in 15 minutes and 0 to 85% in just 30 minutes. 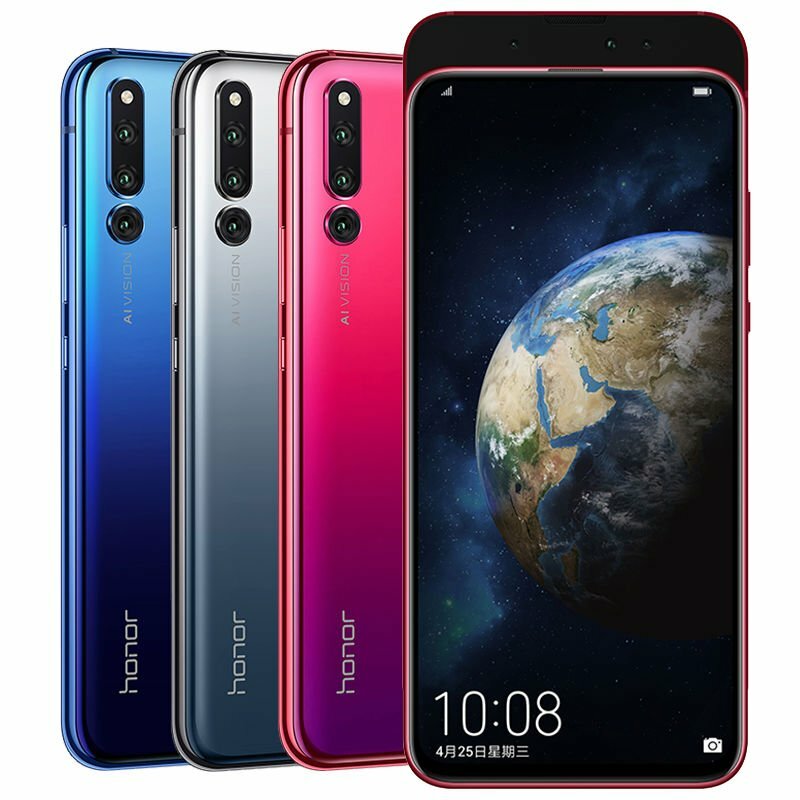 Honor Magic 2 will be available in colour options of Gradient Black, Gradient Red and Gradient Blue. It is priced at 3,799 yuan (~$550 / Rs. 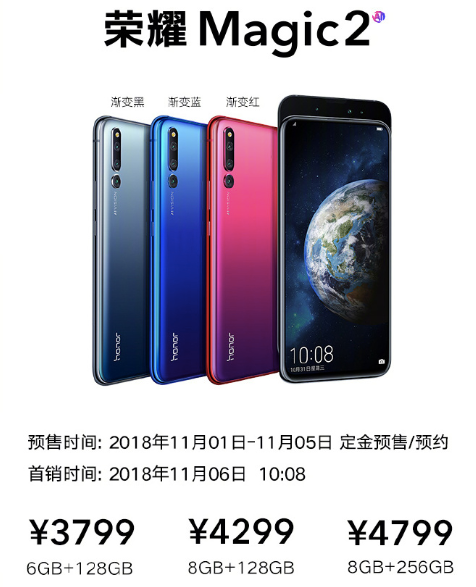 40,000) for the 6GB RAM + 128GB storage variant, 4299 yuan (~$620 / Rs. 46,000) for the 8GB RAM + 128GB storage variant while the 8GB RAM + 256GB storage variant costs 4799 yuan (~$690 / Rs. 51,000).